Famous for having an enormously rich history during the Industrial Revolution in the 18th Century, Birmingham is now a vibrant and modern city too. 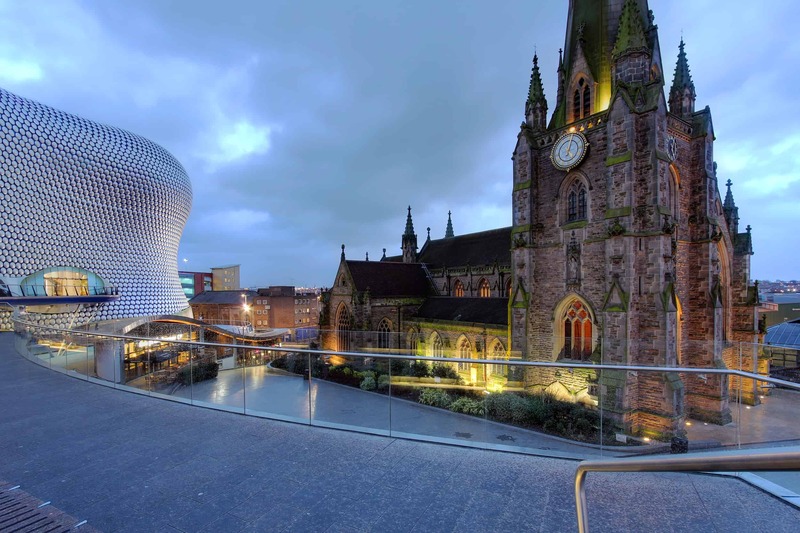 Host to the famous Bullring, Birmingham Hippodrome and the striking Selfridges building, the city has plenty to offer for potential homeowners. There are a multitude of plans for furthering the development of the city, including a recently launched campaign for an £8 million restoration of the Grade II listed Victorian Gothic mansion, Highbury Hall. 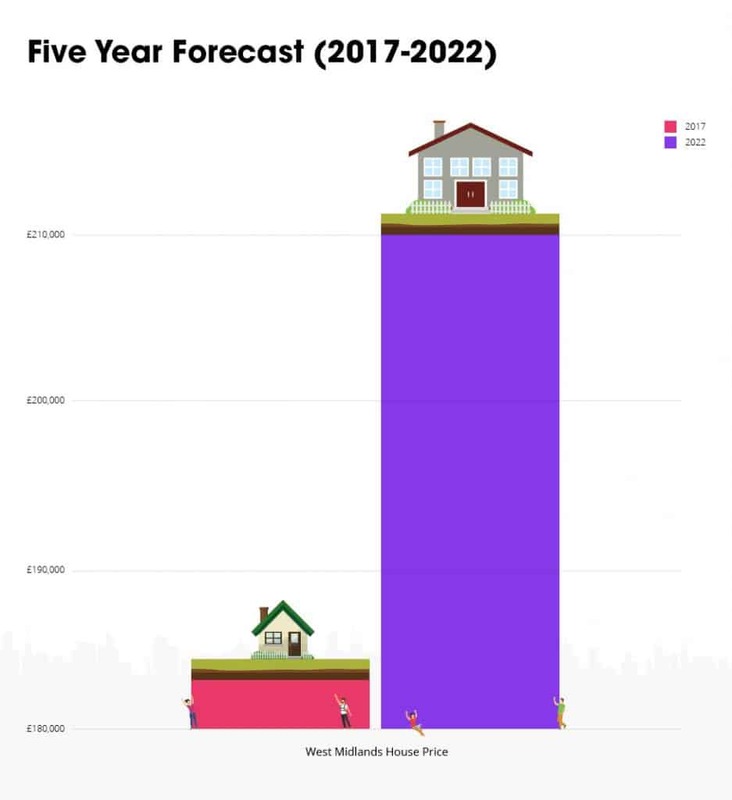 Research conducted by Savills offers a prediction for house prices in the West Midlands over the next five years. Currently, the average value of properties in the region stands at £183,000 and it’s predicted that the West Midlands will see an estimated 14.8 per cent increase to £210,000 in the next five years. That means an estimated £27,000 gain on house prices by 2022. With house prices due to rise, there’s never been a better time to upgrade where you live – whether you’re already a Birmingham resident or looking to move to the area. Here at Good Move, we understand that when it comes to selling your home, you want it be as quick and simple as possible. According to data released by the Post Office, the average UK property can take a staggering 96 days to sell. Birmingham takes a little less than the UK average, and can take around 77 days to sell your property when using a traditional estate agent – but that still seems like an eternity. If you’re looking to sell your current Birmingham property, we understand that a quick sale would be preferable to help ensure you can find somewhere better before the prices rise, or start the next chapter of your new life as quickly as possible. There are several options when it comes to putting your property on the market, including selling at auction, selling through an estate agent and using an online property buyer. For most buyers, the most common methods are estate agents and online property buyers. Traditional estate agents are a great way to sell your property as your estate agent will have expert knowledge on the area and will be able to inform you of the best way to present your house to encourage sales. However, selling through an estate agent is temperamental, often expensive and will be affected by the current housing market at the time of sale. Selling through an online property buyer, such as Good Move however, is one of the quickest and simplest methods of selling, as the sale process can be made within three weeks. Wolverhampton, another celebrated city in the West Midlands, initially started as a market town specialising in the woollen trade. The Industrial Revolution saw the city become a major centre for steel, coal mining, lock making and the manufacturer of cars and motorcycles. Today, the city boasts a large aerospace industry. House prices in Wolverhampton are an average a modest £178,647 which is cheaper than neighbouring Birmingham which stands at over £180,000. The city of Worcester is the heart of Worcestershire, 31 miles southwest of Birmingham. Worcester is most famous for the Battle of Worcester, which was the final battle of the English Civil War, where Oliver Cromwell’s New Model Army defeated King Charles I’s Cavaliers. House prices in Worcester average £221,886, while the UK national average is £226,756 as of December 2017. What’s next for property sellers in Birmingham? If you’re considering selling your Birmingham property, please get in touch with our property experts at Good Move. It’s a known fact that one in three property transactions made through estate agents fall through due to house chains, so it’s an easier process to sell through a fast property buyer and take the hassle out of selling your home.